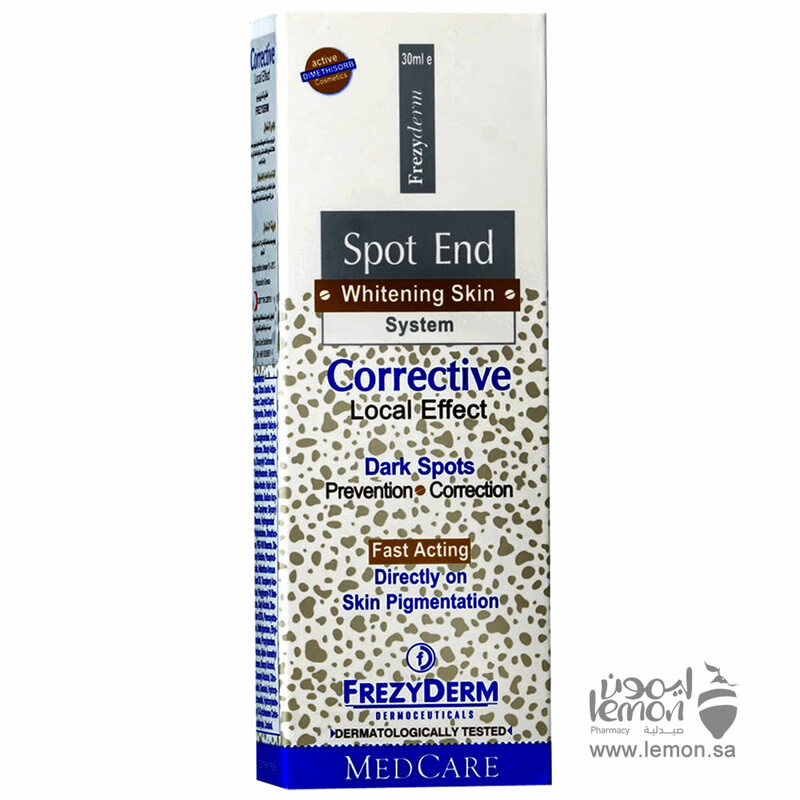 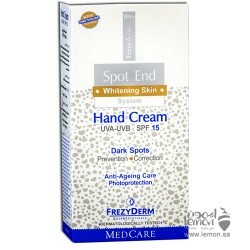 Frezyderm spot End Corrective Skin Whitening Cream is multi-purpose whitening cream for the face, neck, décolleté and hands for instant results. 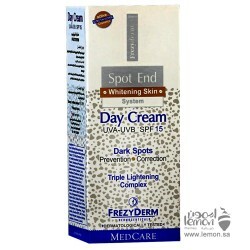 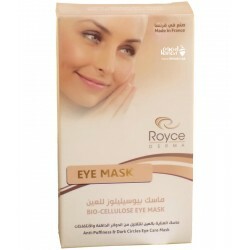 The combined formula of the whitening system and the keratolytic agent decreases the production of melanin, discoloring the age spots, while enhancing the effects of the other products from the SPOT END line. 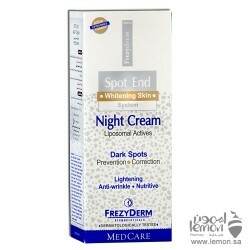 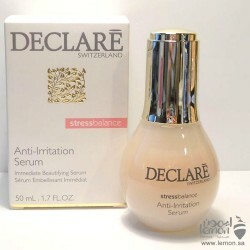 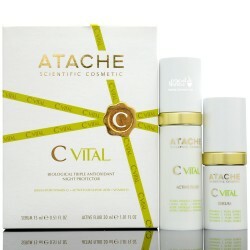 Atache c-vital kit with Synergistic action of vitamin C, vitamin E & a - Lipoic Acid contain&nbs..
Frezyderm Spot End Skin Whitening Day Cream is a whitening day cream for the face, neck and décollet..
Frezyderm Sopt End Hand Cream has a unique formulation, preventing discolouration, while hydrating a..
herbal Glo Moisturizing Hand and Body Lotion moisturizes and protects your dry skin. 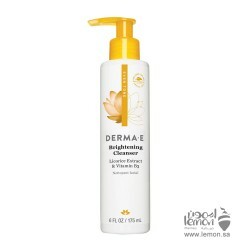 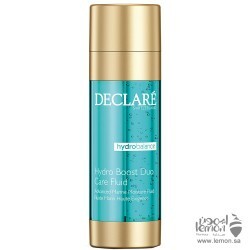 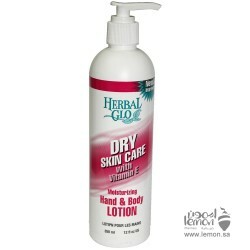 herbal Glo Mois..
MAXON Soft White Body Lotion is a gentle body lotion composed of rich ingredients including bearberr..